The true spirit of Alchemy takes us ‘home’ to that space where man was truly free and consciously existed from a place of love and gratitude. It is Alchemy that ultimately brings about a re-emergence of the true heart, that we may Live our lives from this place of truth and guidance. It is Alchemy that facilitates our conscious alignment with what we may refer to as the new earth, a higher vibrational consciousness construct that we are currently birthing. This spiritually and physically energising retreat will explore the meaning of Alchemy as it links with the emerging Diamond Consciousness, the overlighting ascended masters supporting this part of our evolutionary journey, and a unique diamond process to activate the golden pearl of innate wisdom through the Five key elements, providing you with a strong foundation for ongoing alchemical transformation. The Diamond Alchemy program is a gift from ‘beyond the beyond’ to assist you in integrating and embodying the multiple faceted, high dimensional being you were designed to be. 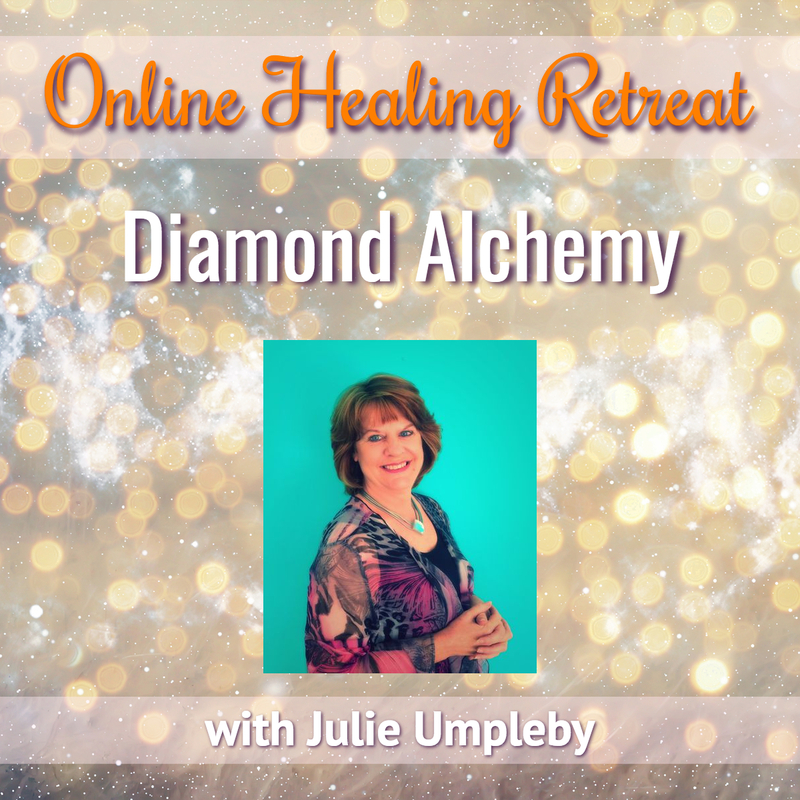 You will experience the depth of your own personal transformation and alignment with your masterful Self through these specially created alchemical diamond processes. Each session contains a formulated blend of scientific insight, alchemical and symbolic understanding and advanced frequency processes to help you reclaim your authentic expression. This transformational alchemy leads you on a profound healing journey through the elements, your power source within the mitochondrial DNA, your ancestral and cosmic identities and immersion into the ‘void’ through the enigmatic Black Diamond. Described as one of the most powerful Diamond Programs delegates have attended – dare to step up and into the crucible of ultimate transformation.